How Can I Tell Which Device Was Used to Report an Issue? 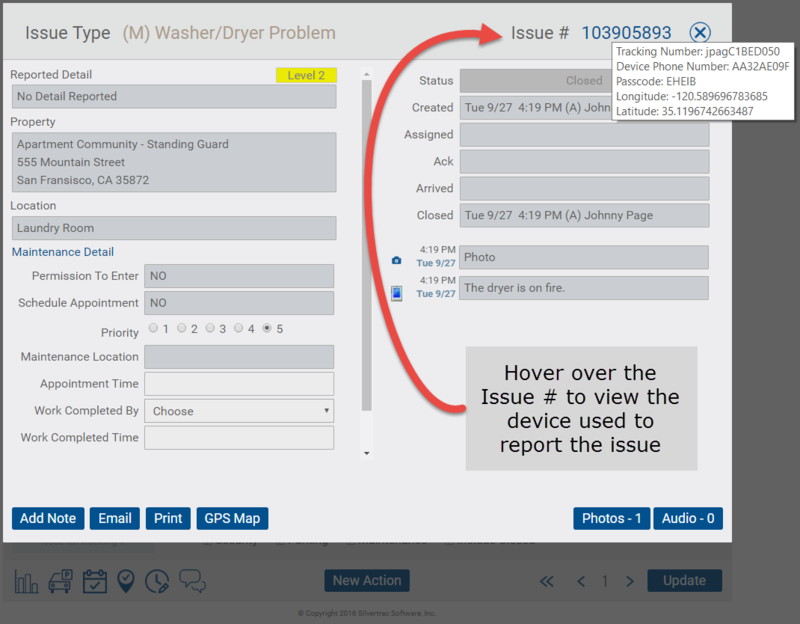 To view device information on a reported issue, hover over the Issue Number in the top right-hand corner of your screen. You can then view the Tracking Number, Device Phone Number, and Passcode related to the device.